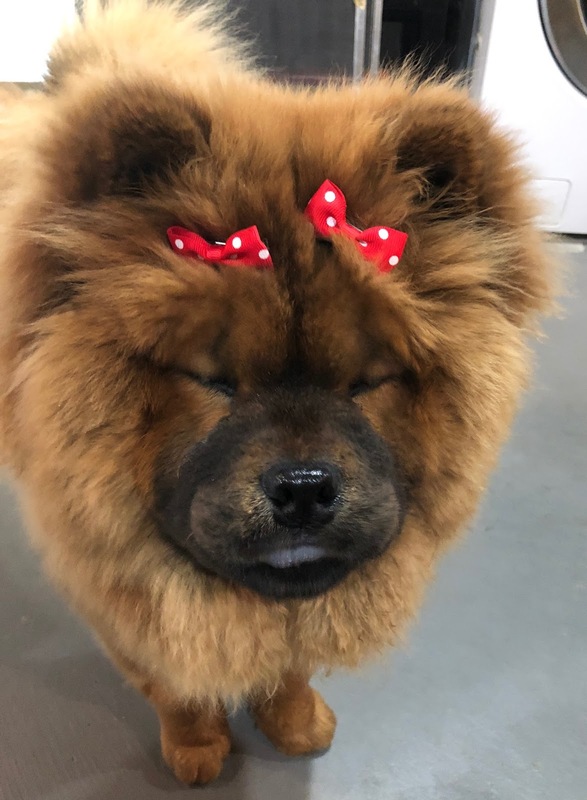 Winnie got some new bows. Hey Win Win, how do you like your bows? Not so much I guess. 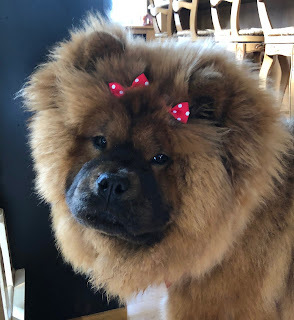 She reminds me of the lion on Wizard of Oz - after the beauty treatment in the Emerald City. I'm guessing she like the bows about as much as Lovey like her pink tutu. HAHAHAAAHAHAAA! That little blue tongue says it all. 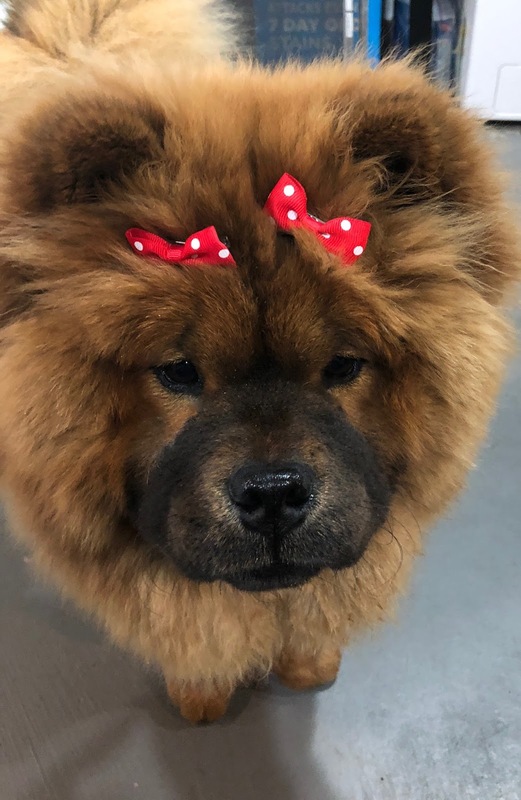 such sweet bows on such a sweet puppy. you look adorable winnie.